Syrian Design Inlay Side Table Furniture from Badia Design Inc.
Our Syrian Design Inlay Side Table Furniture is made is a beautiful and elegant piece of furniture that can be used as a coffee or side table. It can also be placed in just about any room in your home or office as a decorative piece that will be admired by family members and friends for many years to come. 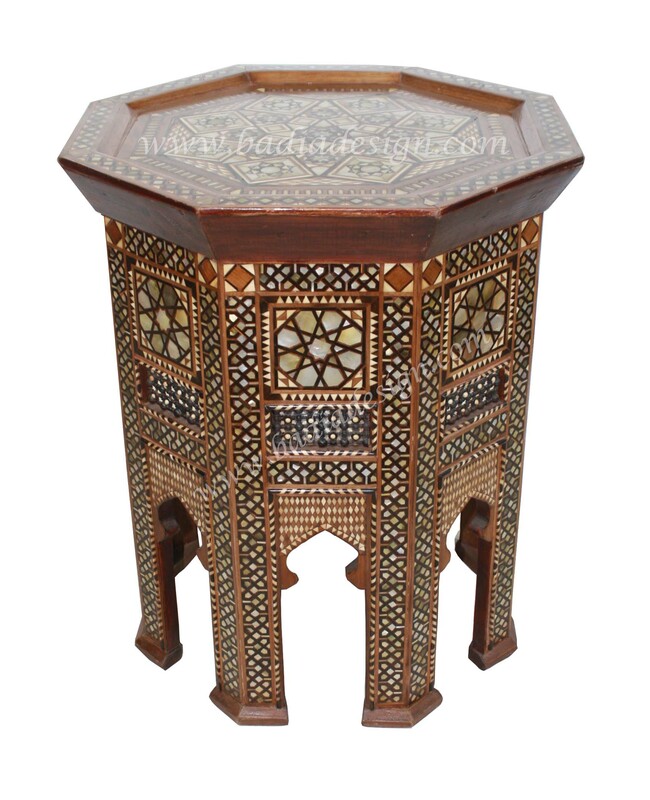 Click the button below to add the Syrian Design Inlay Side Table Furniture - MOP-ST071 to your wish list.